This set comes with everything you need to play: 2 birch wood targets and 8 washers. Snapping the two targets together with the attached locks creates a game case with handles for easy storage and transport. 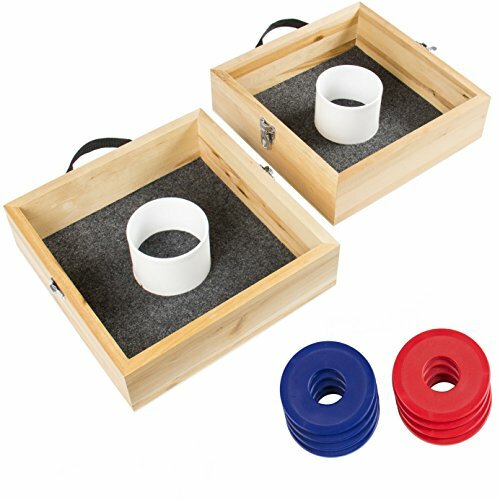 Get your game on with the Wood Washer Toss Game Set. Overall Dimensions: 13.5"(L) x 13.5"(W) x 4"(H), Weight: 9.36 lbs. (20) Powder Coated Replacement 2-1/2" Washer Toss Pitching Game Washers - High Gloss!